Refinishing your hardwood floors can drastically change a room and give it a fresh updated look. 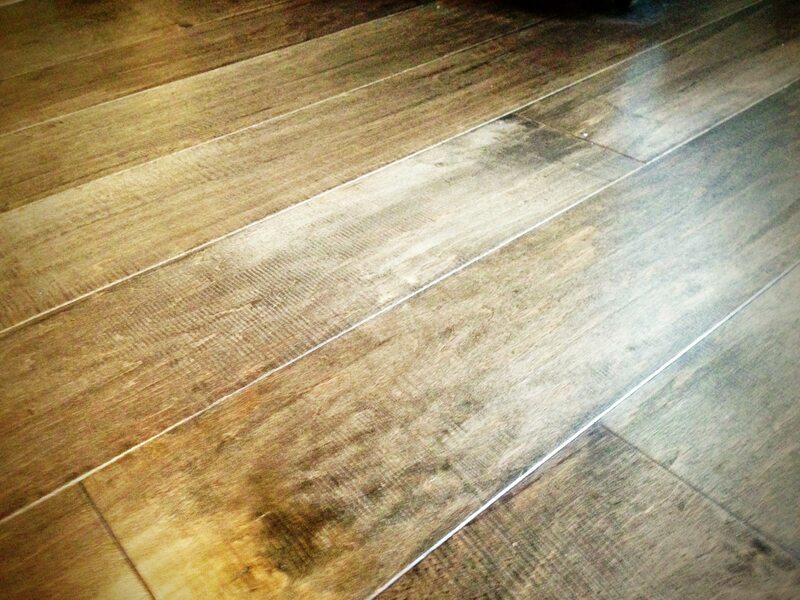 You may have scratches on an old wood floor to smooth out or you just want to change the color to a lighter stain to brighten up the room. Whether your floor is 120 years old or 5 years old, we can give them a new look! We use high performance sanding equipment to ensure the best possible surface for re-staining. 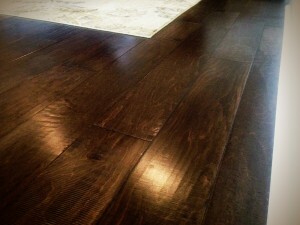 Resurfacing includes all species of existing hardwood floors. We have many stains with a huge selection of colors to choose from. Finishes are offered in either high gloss, matte, satin, or semi-gloss. 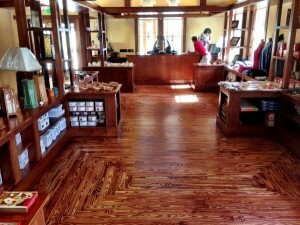 We also offer recoating/resealing of hardwood floors to bring the shine back. Our team of professionals will be able to assess your floors and see exactly what we can do to bring back that original brilliant luster that caused you to first fall in love with your floors to begin with! 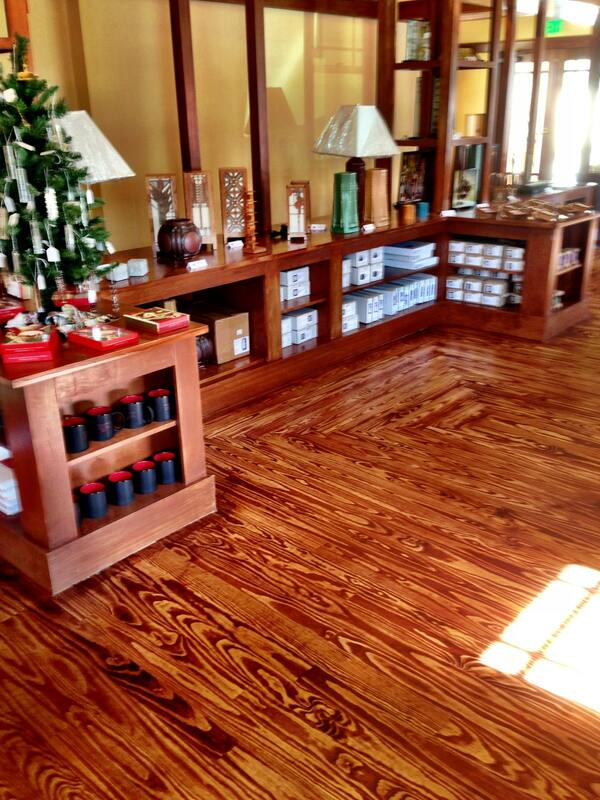 Call us today for an appointment to see just how easy it is to get your floors looking new again! 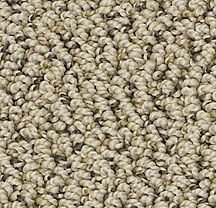 Berber carpet is best known for its durability, easy maintenance, and pleasing appearance. Berber is a term most often used to describe loop pile construction type. Most styles have flecks of darker colors on a light background shade. Some Berber carpets can be a solid color with no patterns or they can showcase a variety of colors with different patterns with uneven loops to create texture. 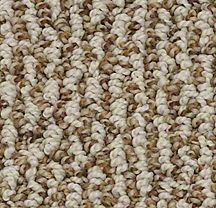 Berbers are very popular for high traffic areas in homes and offices since they are relatively inexpensive and durable. From contemporary to country to cottage styles, Berber carpets give your home a textured, warm, and casual atmosphere since it allows for unique designs and color schemes. Having Berber carpet will allow you to adapt it to multiple interior design schemes. Because of the compact loop design, Berber carpet allows you to hide footprints and vacuum marks very well. As far as value goes, olefin and polyester will be better decisions for being budget friendly while wool Berbers will be on the pricey end of your budget. No matter what you have in mind for your room, you can find a Berber carpet that will fit in your lifestyle, design, and budget! Come in today and see all the many colors and styles available! Here is a wood flooring job we recently finished in Lakeland Fl. We took out carpet and installed glue down wood flooring from Shaw. We carry many different name brands and styles so be sure to come see our showroom to see the latest styles. 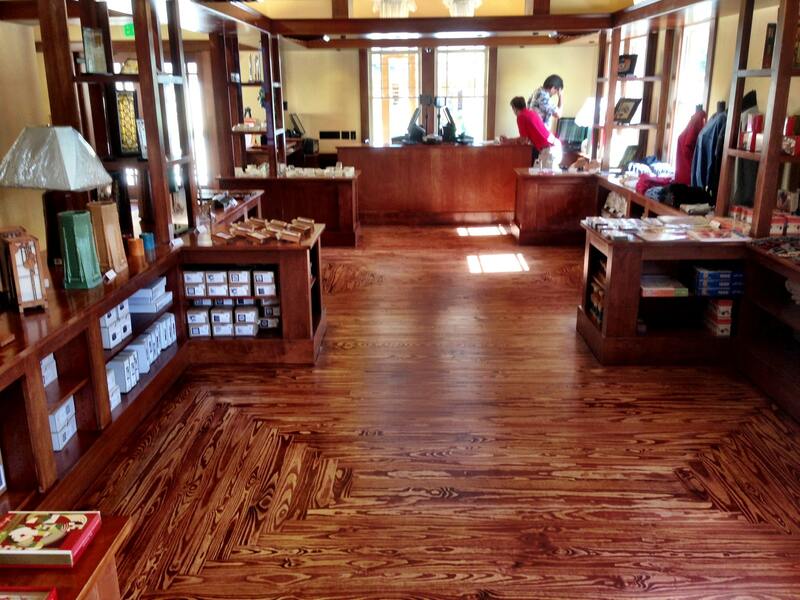 Here is a few options of wood flooring we offer: Elm, Oak, Bamboo, Cork. Available in 3/8, 1/2, 3/4, 9/16 inch thicknesses. Install options are nail, glue, staple, floating. 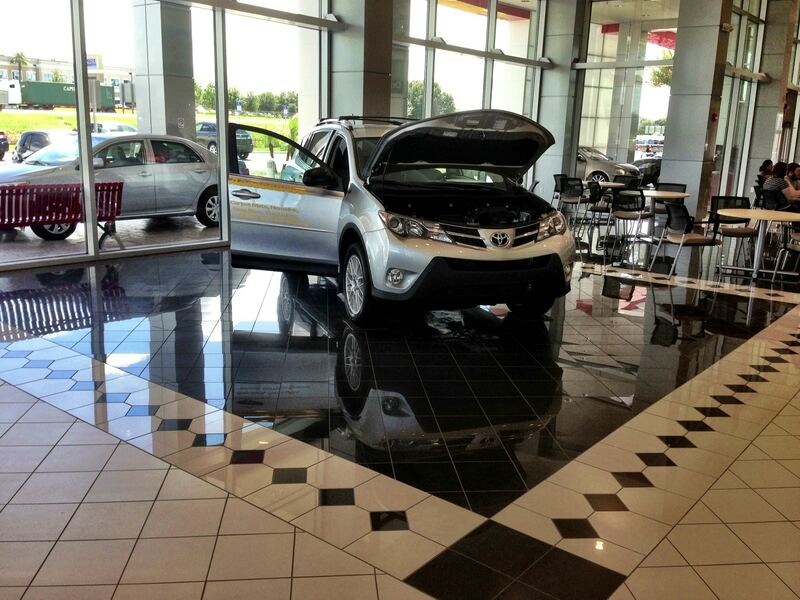 We recently finished installation of a new Toyota dealership in Lakeland, FL . 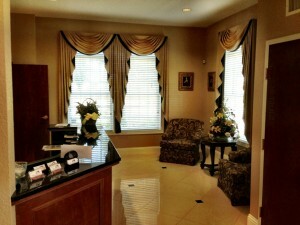 We provided and installed ceramic tile, carpet tile, pattern carpet, VCT flooring, and faux wood blinds. Below is a picture of the ceramic tile in the showroom of the dealership. 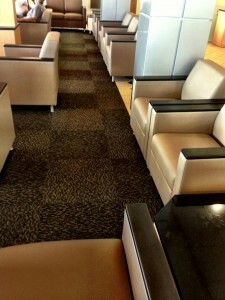 In the lobby sitting are we installed carpet tile. Carpet tile is a great product, because, if a piece gets ruined or messed up, you can replace just one square instead of changing out carpet in whole area. 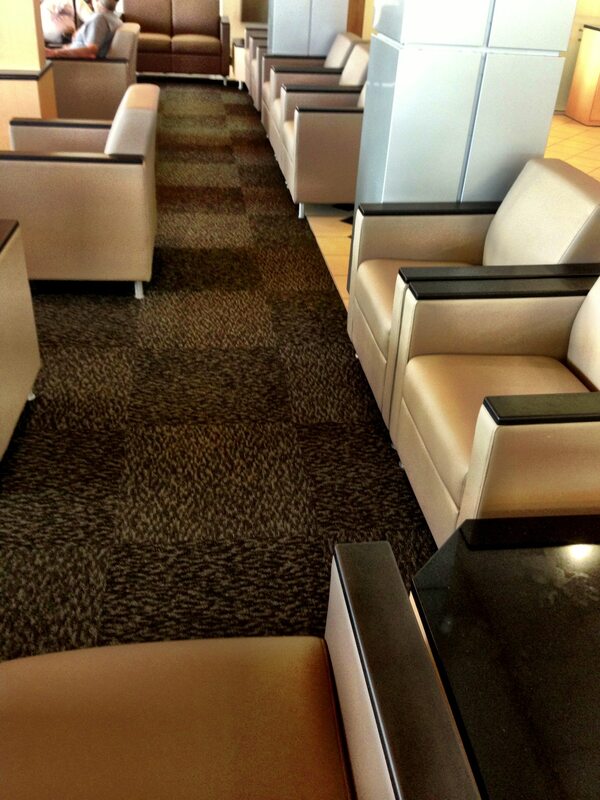 Carpet Tile in sitting are of Lakeland Toyota. Below is the ceramic tile we installed in the parts department. 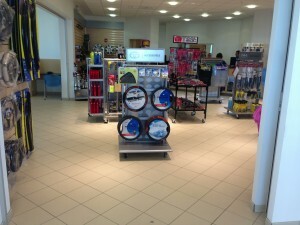 Ceramic tile in parts department. We recently finished doing flooring, blinds, and custom swag top treatments at Gentry Morrison funeral home in north Lakeland. Below is a picture that shows the polished porcelan cermaic tile very well. Polished porcelain is a beautiful alternative to granite or marble that gives the same appearance. 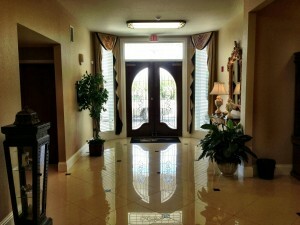 The porcelain tile was laid at a 45 degree agnle and had black accent diamonds that gave a very rich appearance. 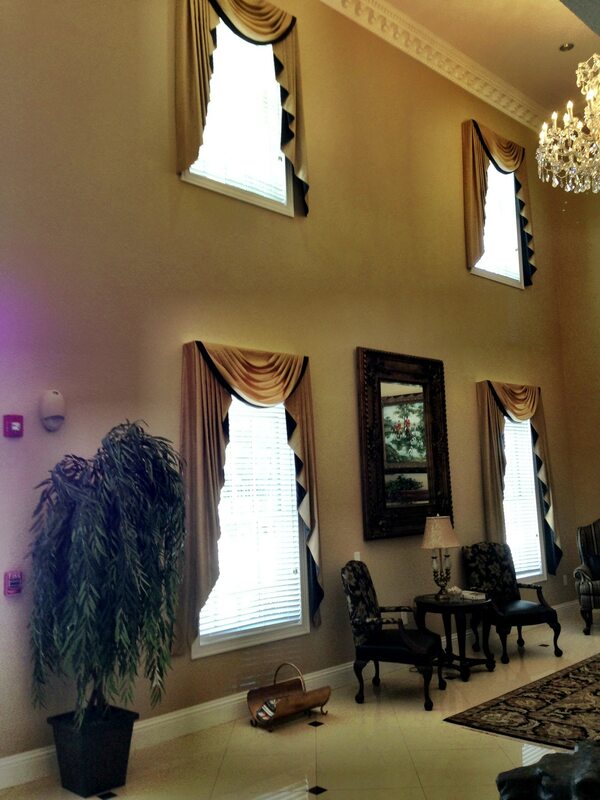 We also made custom swag top treatments and custom faux wood blinds. Below is another picture that shows the faux wood blinds and custom swag top treatments. 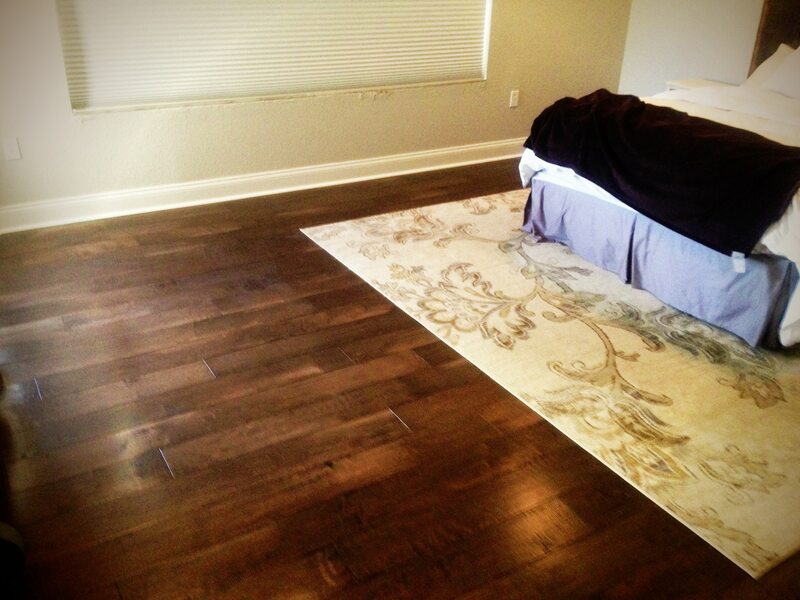 Be sure to call Sunshine Interiors for all of your flooring, blind, and top treatment needs!